The recent tabling and success of a motion of no-confidence against the government took everyone by surprise. However, the underlying factors that led to the no-confidence motion are hardly surprising. Poor economic and budget policies have hurt families across the country and slowed the economy. For politicians on both sides, this should be a moment for pause and reflection. A moment for politicians to rethink their purpose, policies, and plans for a better Guyana and take them to the electorate. Public audits can be used as a tool to identify and tackle inefficiency, mismanagement, waste, and fight corruption if lawmakers take them seriously and act on their recommendations. For the fiscal year, 2017, taxpayers lost more than $1 billion in overpayments to contractors, payments for goods without any vouchers, and payments for good that were not delivered, according to the Auditor General’s report. Public audits are meant to provide lawmakers and taxpayers with an assessment of how well public agencies delivered public services, whether they have operated within their budgets, and more importantly, whether they have executed their functions consistent with good public financial management practices. Berbicians are in for more pain and economic hardship as the Berbice Bridge Company proposes tolls increases that are three times higher than current tolls. Families and businesses alike are already suffering from the ill-advised closure of multiple sugar factories that were the backbone of the County’s economy. The proposed tolls hike would devastate families, especially low-income and poor families, school children, and workers, and bring the County’s economy to a grinding halt unless the government takes the necessary steps to avoid the proposed toll increases. Public investment in health in Guyana declined continuously since 2011, reaching its lowest level in almost two decades. The result was a substantial increase in child deaths and a slowdown in improvement in adult life expectancy. Balancing a budget on healthcare or tying its funding to non-economic outcomes are short-sighted policies with devastating consequences that are paid for with Guyanese lives. One of the biggest public health and social issues facing Guyanese is the rate of suicide deaths which remains one of the highest in the world. The problem affects all races and ethnicity, however, it is more rampant in communities with a large Indian population. Several economic and social factors are linked to suicide and these are likely to worsen with the current economic slowdown. Religious organizations, charities, and other institutions can take a more active role in providing people with necessary skills, information, and knowledge to overcome suicidal ideation. The government should use a portion of oil revenues to fund an Earned Income Tax Credit (EITC) program to help lift families out of poverty and put them on a path to prosperity. 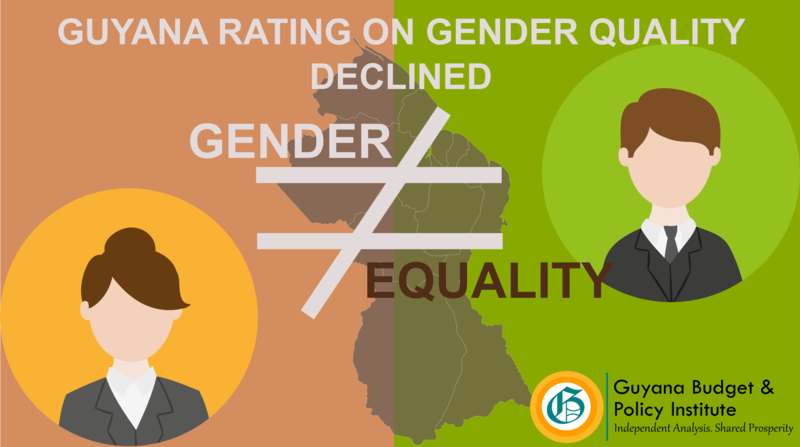 It also incentivizes work as opposed to discouraging it resulting in greater labour market activities and improvement in social and economic well-being. The EITC is one of the most successful anti-poverty reduction policies and a better option than direct cash transfers. In addition to lifting poor and low-income families out of poverty, the EITC has been successful in growing the tax base and reign in informal activities in the formal economy. Over the last five years, taxpayers funded more than $1.1 trillion in government spending, each year pumping more money into the government coffers than the previous year. Despite this, taxpayers received less and less in return. The government unable to use taxpayers’ money to improve the economy and create opportunities for families and businesses to succeed. Moreover, its budget and policies undermined growth and began to reverse decades of positive economic momentum and social and economic progress. Government officials must start making better investment decisions to ensure taxpayers get a good return for their hard-earned dollars. Deaths by suicide in Guyana remain among the highest in the world, despite progress in recent years. In 2018, 31 of every 100,000 persons died by suicide. This puts Guyana second for the highest suicide death rate in the world, behind only Sri Lanka, according to data by the World Atlas. The cost of suicide is high, it destroys lives, damage communities, and undermine long-term economic prosperity. Fortunately, lawmakers can do more to prevent this tragedy and save lives. 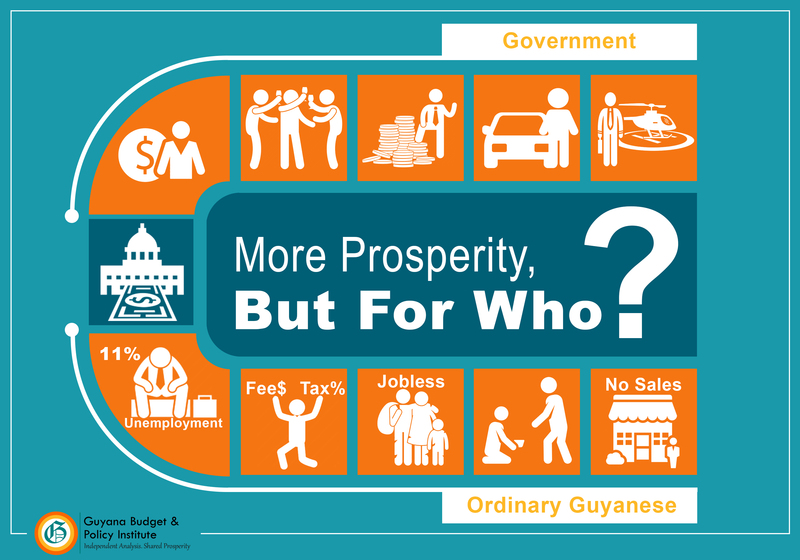 The government’s budget for the fiscal year 2018 essentially mortgaged the future of Guyanese and the economy. Despite record level spending, the budget cuts funding for the infrastructure and agriculture sectors that are critical for creating employment opportunities, mostly for low-skilled workers. Lawmakers continued to shift billions to shore up the government bureaucracy instead of better aligning spendings with social and economic needs. There are no major changes in policy direction to steer the economy away from its current downward trajectory. 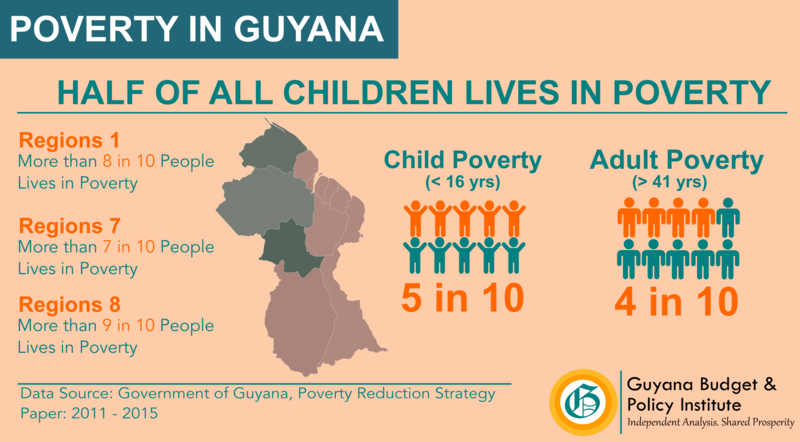 Once a poster child for immunization coverage, Guyana is flirting with a public health crisis from common preventable illnesses. In 2016, vaccination rates that protects against polio, tuberculosis, pneumococcal disease and other fatal bacterial infections declined between 3 – 5 percentage point over 2014. The decline in these vaccination rates are not only striking but a surprise given that from 2014 public health expenditures grew by 29% or almost $6 billion, reaching a total of $26.2 billion in 2016. Lawmakers and public health professionals, alike, must take these findings seriously, take immediate actions to investigate the causes, and corrective measures to ensure that every child gets vaccinated on time. The Auditor General flagged almost $1 billion in Ministry of Public Infrastructure expenditures for financial mismanagement, waste, abuse, and non-compliance with the country’s fiscal management and accountability laws and standards during Fiscal Years 2015 and 2016. Almost $683 million represented “financial waste” and almost $243 million was “abuse,” and other forms of mismanagement. The Auditor General’s reports also identified serious concerns with widespread inefficiency and poor management of the Ministry. Lawmakers must amend or enact legislation, to end such waste, abuse, and mismanagement of public resources. These resources must deliver maximum public benefits to citizens and promote economic growth.